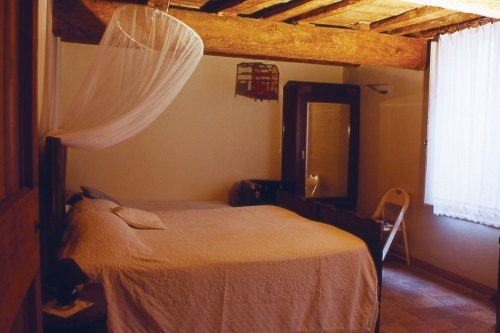 Casa Manfredi, situated in the heart of Faenza, welcomes you with its airy and refined rooms. Relax in our mini-apartments whose ceilings evoke Faenza’s noble families history; explore our region and take a break in our courtyard garden. Casa Manfredi B & B is located in a quiet little street of the historic centre and is short walk from the prestigious International Museum of Ceramic Art, behind Faenza’s splendid Cathedral and very close to the Carlo Zauli Museum. From here you can explore the art, culture and gastronomy of the towns, parks and coast around and near Faenza. Bed and Breakfast Manfredi : v. Sarti 18, Faenza (RA). © 2006-2012 Manfredi - All rights reserved.